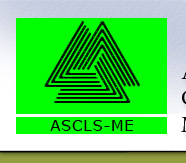 If you are interested in joining Society for Clinical Laboratory Science-Maine (ASCLS-ME), please visit ASCLS and fill out the new membership application. If you have any questions about our membership benefits, ASCLS–ME scholarship, or any other questions, please feel free to fill out the form below and we will contact you promptly. Note: Required fields are marked with an asterisk.